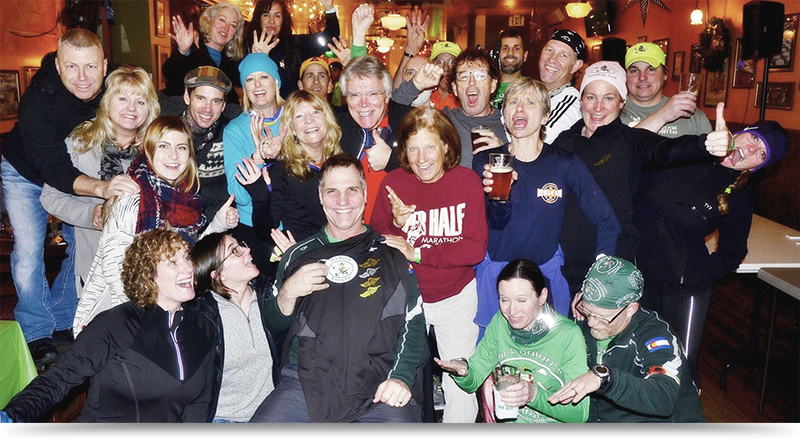 JOIN US AT JACK QUINN’S FOR OUR TUESDAY NIGHT RUNS! – $1 tacos and discounted food every Tuesday! – Running Club T-shirt on your 10th Attendance for $10! – Coveted Long Sleeve “Century Club” Tech-shirt available for $40 on your 100th Attendance Run! We meet on Tuesdays at Jack Quinn Irish Alehouse and Pub. Sign in begins at 5:15 pm and ends at 7:00 pm. Start on your own. Announcements and shirtings begin at 7 pm. 1. You must sign a waiver to run with the club.